People with hearing loss in San Diego will have a newfound app-reciation for their smartphones thanks to an abundance of free and inexpensive mobile apps designed for both iPhones and Android devices. Calorie counters, heartrate monitors, fitness trainers, and even mobile versions of popular health care sites like WebMD make it easier than ever for individuals to take charge of their own health. Several apps geared specifically toward users with hearing loss have popped up recently, as well. We’ll take a look at some of the most popular ones. Test Your Hearing. Those looking for a simple but effective way to test their hearing will like this app. It’s a cinch to use: push a red button every time you hear a sound. After the test is complete, you’ll be given a “hearing age” assessment based on your score. If your approximate hearing age is considerably louder than your actual age, you may be experiencing signs of hearing loss. Bose® Hear. This companion app for Bose® Headphones™ enhances conversations, allowing you to hear more clearly in noisy environments. You can also stream music and phone calls directly from your phone. TapTap. Deaf and hard of hearing users won’t miss audio cues with this app. TapTap causes your phone to flash and vibrate, alerting you to nearby sounds that might be too soft for your hearing aids to detect. Braci. Similar in concept to TapTap, Braci allows you to record the sounds in your home environment and converts them into visual and sensory notifications and alerts. Doorbells, smoke alarms, phone calls, and more can all be programmed, providing you with a sense of security and peace of mind. Pedius. This app uses synthesis and speech-recognition technology to allow deaf and hearing-impaired people to make phone calls. Its built-in voice recognition software accurately translates speech, converting it to text and eliminating the need for third-party translation services. Hearing Test. Relying on pure tone audiometry – the most common hearing exam in most audiology offices – and predefined calibrations, this app measures the quietest sounds you are able to hear, an accurate indicator of your hearing threshold. AllDeaf. A social networking site for the deaf and hard of hearing, as well as ASL users, this app allows you to post to the All Deaf forum, upload pictures, and access private messages. Sound Alert. Made by Braci, this app records sounds in your environment and turns them into visual and sensory notification alerts, transforming your smartphone into an alerting device and ensuring your safety and comfort. Ava. This handy app uses your phone’s microphone to hear and provides instant word-for-word captioning and subtitles, allowing you to understand speech and fully participate in conversations. Ava uses AI technology to “learn” from mistakes; simply type on an incorrect word and you can teach Ava to get it right the next time. Easy Talk. Another transcribing app, Easy Talk uses voice recognition software to transcribe conversations and is available offline, allowing the deaf and hard of hearing to communicate in areas where cell service is spotty. Available in free and pro versions. Sprint Relay. If you’re looking for a more traditional relay service, this one has you covered. 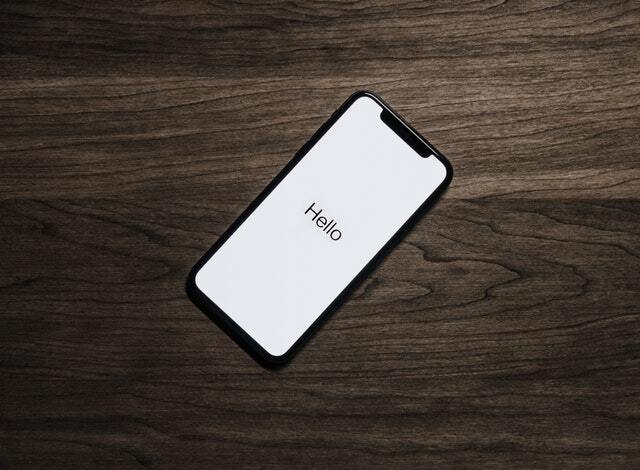 Simply type what you want to say to the operator and they will relay the message to the person you are calling, then provide a typed response. ←Why Should You Wear Musician’s Earplugs?